The Time of Your Life has a rating of 4.8 stars based on 56 reviews. 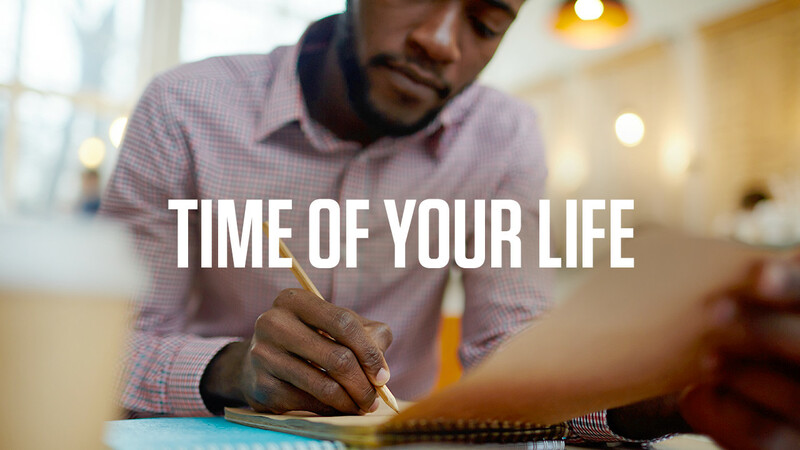 The Time of Your Life is a 10-day program designed to help you create more time for what truly matters to you. Using the scientifically-proven Rapid Planning Method (RPM), you will learn the strategies Tony uses to manage dozens of businesses, his personal relationships and his strenuous schedule on the road. The strategies taught in this program will free you from endless to-do lists and instead put your focus on purposeful action that drives real, consistent results. Are you tired of your never-ending “to-do” list? And even when you finish everything on it, do you still feel like you haven’t accomplished anything meaningful? Time is a commodity – and a valuable one, because everyone wants more of it. Between the responsibilities of work, relationships and personal well-being, there seems to be very little time to do everything you need to do, and managing the time you do have can be overwhelming. Time of Your Life is a dynamic program that teaches you Tony Robbins’ proprietary Rapid Planning Method (RPM). Unlike other programs that only focus on time management, Tony Robbins developed a program that helps you identify the purpose behind each action, because once you know the “why,” the “how” will follow. Over 10 days, you’ll learn to stop focusing on what you have to do and start focusing on what you want to achieve. As you transform your stress into drive, and planning into massive action, you will begin to see tangible results such as higher levels of productivity, deeper satisfaction with your work and more effective decision-making. You can’t create more time, but with this program, you can start making time for what really matters. An introduction to what an Outcome-focused, Purpose-driven Action Plan (O.P.A.) is and how this system is a core tool to help you maintain control of your focus. Learn what Time Targets are and how they will serve to maximize your time, which in turn will reduce your stress level and experience deeper fulfillment. Identify which areas of your life need more focus and discover how to shift from a life of constant “reaction” to a life of purposeful design..
Now that you know which areas of your life you need to improve and must focus on, you can map out your clear vision for what “success” means in that area. Learn the 5 Master Steps of Planning and how, once you’ve mastered them, you can create a strong foundation that will allow you to follow through on your goals. We often feel the most stressed when we’re trying to juggle too many things. Learn how to manage multiple outcomes without feeling overwhelmed. Discover what Tony calls the “Hour of Power” and how this planning method will help you achieve better results in less time. Understand what’s preventing you from making decisions and eliminate indecisiveness with the 6 Steps to Effective Decision-Making. Using everything you’ve learned, identify your top driving forces (psychological needs), and how you can guarantee you are meeting them every single day. As a creative entrepreneur, Tony's Time of Your Life program gave me a wake up call for making decisions. I find myself in situations where I have so many great opportunities, and the stories and examples in this program gave me concrete examples of how I can integrate a system and process of thinking for making decisions. Don’t have a CD player? Want flexibility and access to the program, at all times? 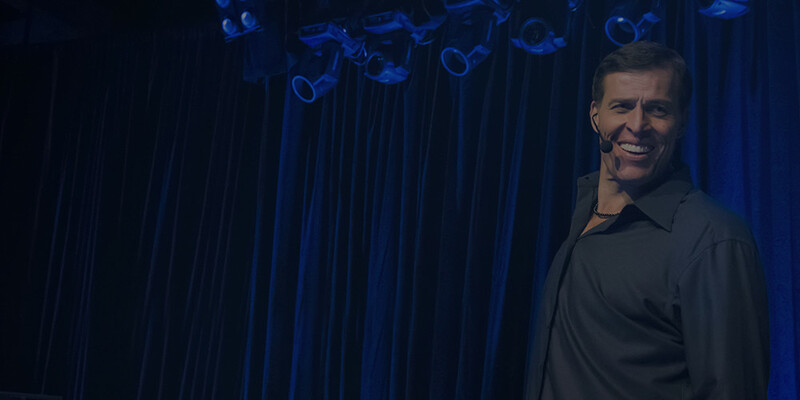 With The Time of Your Life on the Breakthrough app, you will be able to access all 10+ hours of Tony Robbins audio content, on the go, through a mobile application. Fumbling with your mobile apps? Do you prefer listening to CDs? If yes, this is the version for YOU! 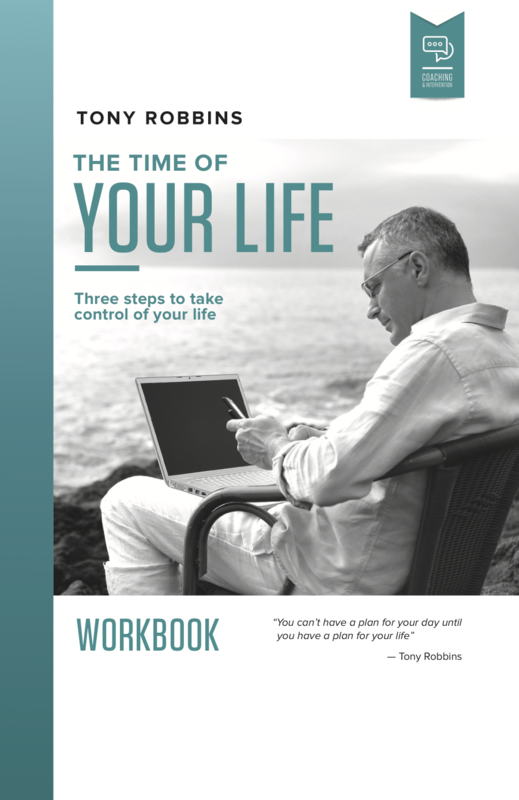 Imagine inserting The Time of Your Life CD, pressing play and learning what the rapid planning method is and how to master it for use as an essential life planning and goal planning tool! Moreover, the audio quality is great. After purchasing The Time of Your Life, you will receive an email with your access information. In the email, you will receive a link to download the mobile application, Breakthrough. The app is available in the Apple App Store and Google Play Store. In addition, you’ll receive access to all the resources for the program, within the welcome email. Already have the app? No problem, simply refresh your product list or sign-out and log back in to gain access to your newly purchased product! 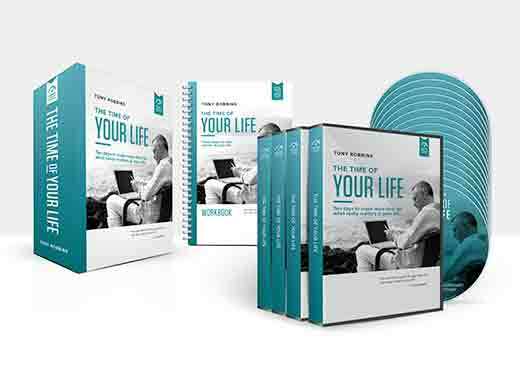 The Time of Your Life will arrive in a box that contains, your CD and DVD program, bonus content and personal journal. Personal Power II is the foundation of everything that entrepreneur, business and life strategist Tony Robbins still practices today. The 7 Steps to Maximum Impact guides you down the path to becoming a more effective inspirational leader.